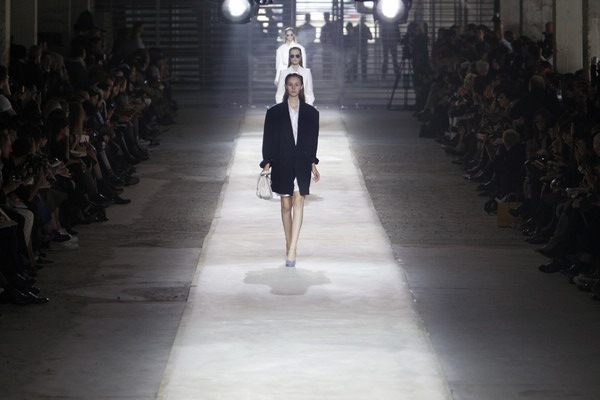 The oversized jacket at Dries van Noten set the tone of his spring summer collection. No firework of colors, no frills. 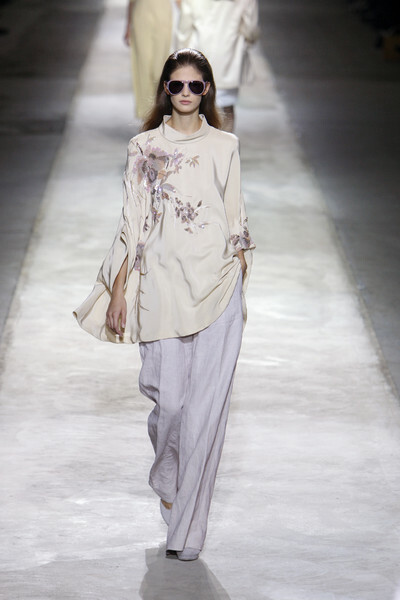 It turned out to be a quiet, almost poetic collection with elements of workwear (jeans, heavy cotton), chinoiserie (the kimono-dresses, flowerprints, the silk) and menswear. Colors were light, almost etheral – the lightest tints of gray, yellow, pink and blue – slightly turning into heavier shades, there was also a lot of white, denimblue, marine and black. The mix felt very contemporary and cosmopolitan, like the high-waisted pencilskirts with kimono-blouses or the couture-like tunic with wide pants. 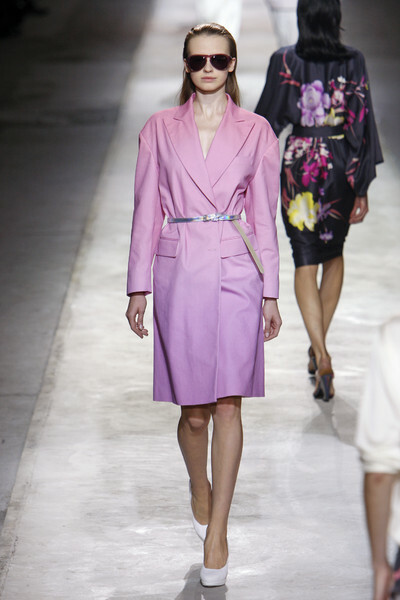 Dries van Noten continues to mix streetinfluences in his collections, like he did this winter with the armywear. It gives his soft voiced style a modern toughness.